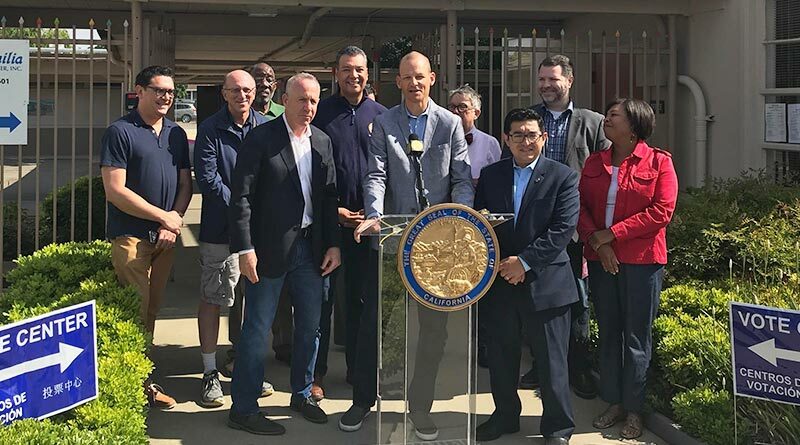 Fabrizio Sasso (far left) joined city leaders including Mayor Darrell Steinberg and Assembly member Kevin McCarty recently to open one of Sacramento’s new neighborhood voting centers. Under a pilot program being tested in five counties, 18 voting centers opened around Sacramento in recent weeks, and 60 more will open before the fall elections. “Putting these neighborhood vote centers in neighborhoods and providing the flexibility to be able to come here for 11 days, on a weekend if that’s more convenient. The message is that everybody can vote,” Steinberg told media. The new vote centers replace traditional polling places, and registered voters can now cast votes at any center no matter where they live. In addition to voting in-person, voters can also drop off ballots and get replacement ballots, and voters also received mail-in ballots in May. Even those who haven’t registered to vote have a second chance. Those who missed the voter registration deadline can fill out conditional voter registration forms at the centers. 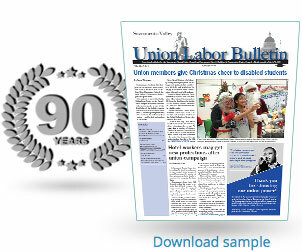 Copyright © 2019 Sacramento Valley Union Labor Bulletin. All rights reserved.